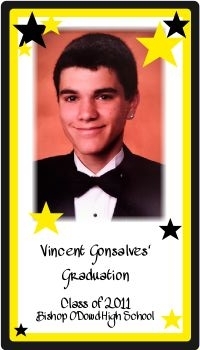 Graduation Magnets are the perfect keepsake for kindergarten, elementary school, junior high, high school and/or college graduation. Magnets are approximately 2" X 3 1/2". Minimum order is 25. Any orders under 25 will not be processed.